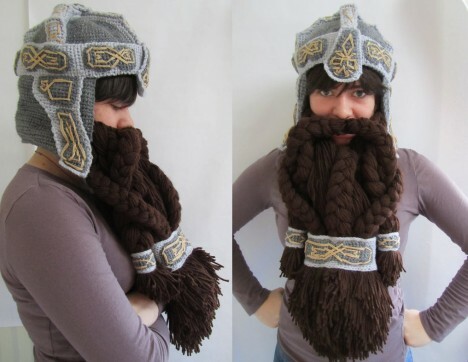 Imagine your grandmother presenting you with a knitted facehugger, dwarven helm or a life-sized boyfriend pillow for your birthday instead of a scratchy wool scarf. 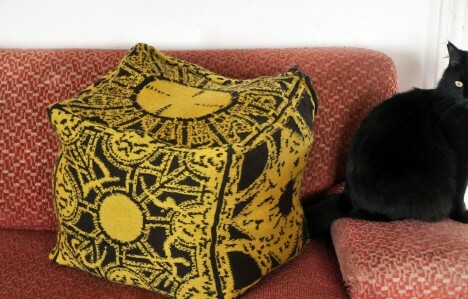 The world of knits goes far beyond beginner’s patterns for sweaters and caps, occasionally encompassing entire rooms or covering military tanks. 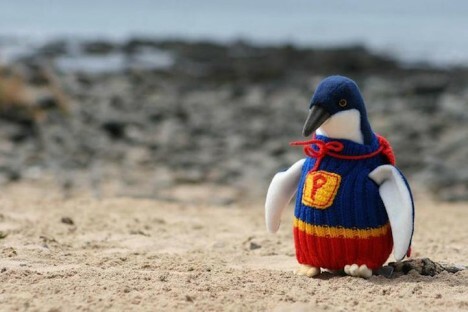 This collection of weird knitted and crocheted things might even inspire you to break out a pair of needles yourself. Well, isn’t that cute. 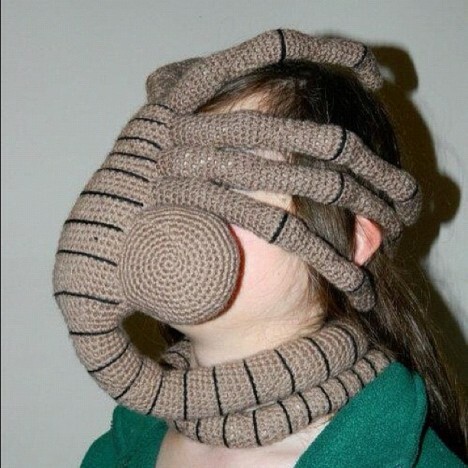 It’s a cozy little alien face hugger, just like you always wanted. 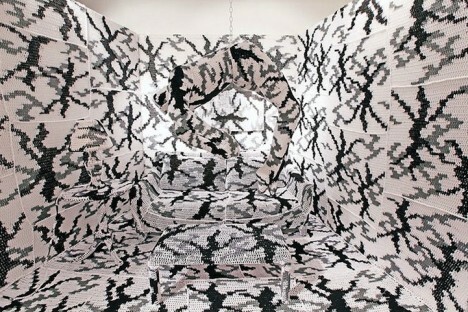 ‘Brutal Knitting’ is a fitting name for this ongoing project by artist Tracy Widdess, which stretches the craft far beyond its humble origins of warmth and practicality. 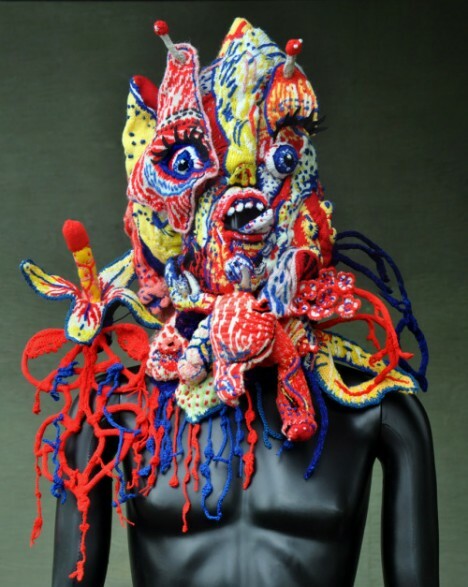 Her highly unusual knit works include some of the most bizarre hats you’ve ever seen, and a replica of the Lament Configuration puzzle box from Hellraiser. 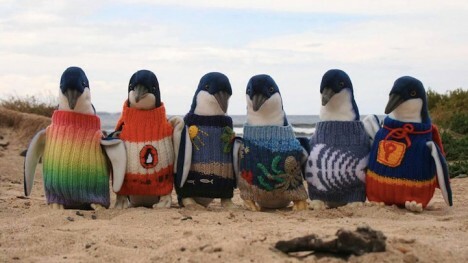 Australia’s oldest man, 109-year-old Alfred Date, put his 80 years of knitting experience to work to create the world’s cutest sweaters for a bunch of oil-covered penguins after a spill on the Australian Phillip Island. 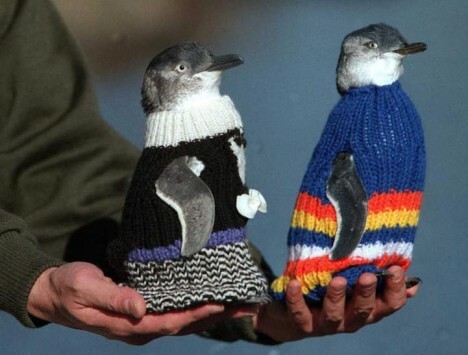 The sweaters keep the penguins from ingesting toxins and prevent water from getting trapped under their oily feathers, which can cause them to freeze. “The helm I based directly on the helm that Gimli wears in the Lord of the Rings movies, the beard was my own design with massive creative input from my brother,” says DeviantArt member SadDaysCrochet of this creation. If it’s a little lonely in your bed, but you don’t have the patience that a real flesh-and-blood boyfriend requires, there’s a solution. 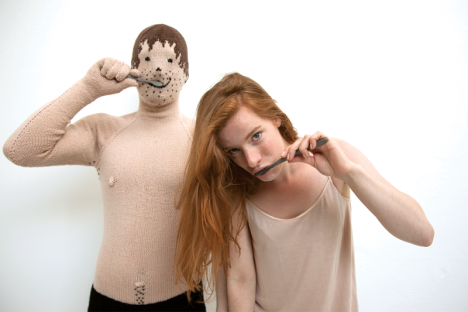 ‘My Knitted Boyfriend’ can be worn like a terrifying bodysuit by a real person, or stuffed to create a life-sized man-shaped pillow. 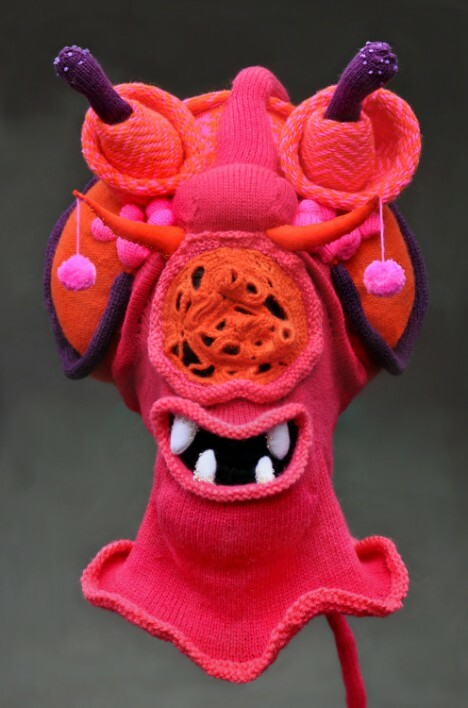 The fiber artist known as ‘Olek,’ who’s responsible for yarn bombing practically every surface you can think of, knitted an entire gallery space for a piece called ‘Keith Meets Arch of Hysteria,’ a tribute to artists Keith Haring, Annie Leibovitz and Louise Bourgeois.